Mrs. T. E. Hurdenbergh donates $100 to The Berry Schools. 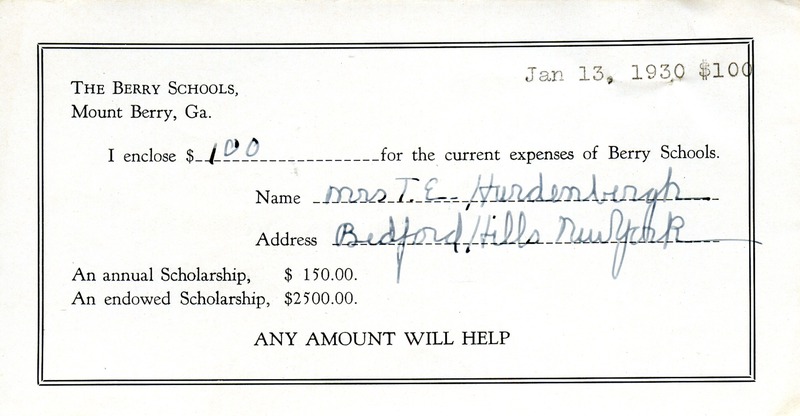 Mrs. T. E. Hurdenbergh, “Donation to the Berry Schools from T. E. Hurdenbergh.” Martha Berry Digital Archive. Eds. Schlitz, Stephanie A., Meg Ratliff, Chelsea Risley, Emilee Sargent, et al. 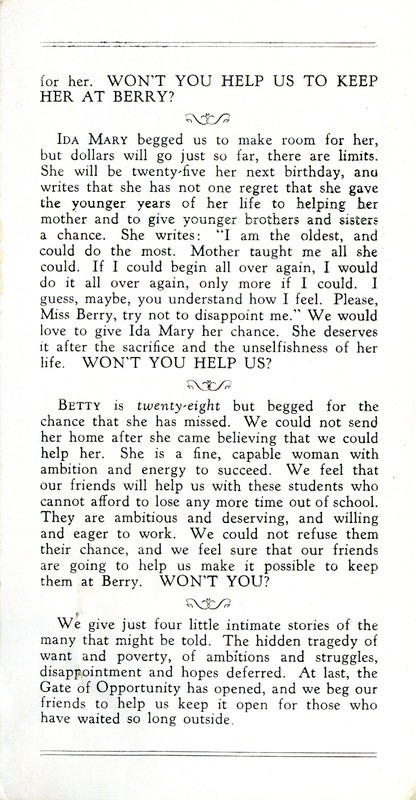 Mount Berry: Berry College, 2013. accessed April 24, 2019, https://mbda.berry.edu/items/show/12767.